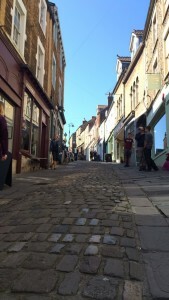 Is Frome the most independent town in the UK? Frome was named the UK’s Greatest Town 2016 by the Academy of Urbanism recently, and we’re so proud! The criteria was extensive and you can see what the judges considered here. The commercial vitality of Frome was considered to be astonishing for a town of our size in a location that is within easy reach of Bath and Bristol. The vibrancy of the independent retail sector and the opportunities for business incubation were particularly highlighted. So we thought we’d highlight some of the astonishing independent buisnesses lining our streets! There’s far too many of them to mention in just one blog, but we’ll do our best to name some of the gems hidden in and around Frome. You can explore Frome’s shops on our shopping page. The shop has been based in Frome for nearly 30 years, and their experienced staff are more than happy to advise you on which modelling kits would be most suited to your preferences. But if you’re not quite sold on modelling, then there are plenty of other goodies to be explored, including doll’s houses, puzzles and the ever popular Playmobil. But Catherine Hill isn’t the only independent attraction in Frome. We shouldn’t forget the wealth of independent shops on Cheap Street. Among the many is Frome Wholefoods, which sells fresh, organic fruit and vegetables as well as cruelty-free beauty products. 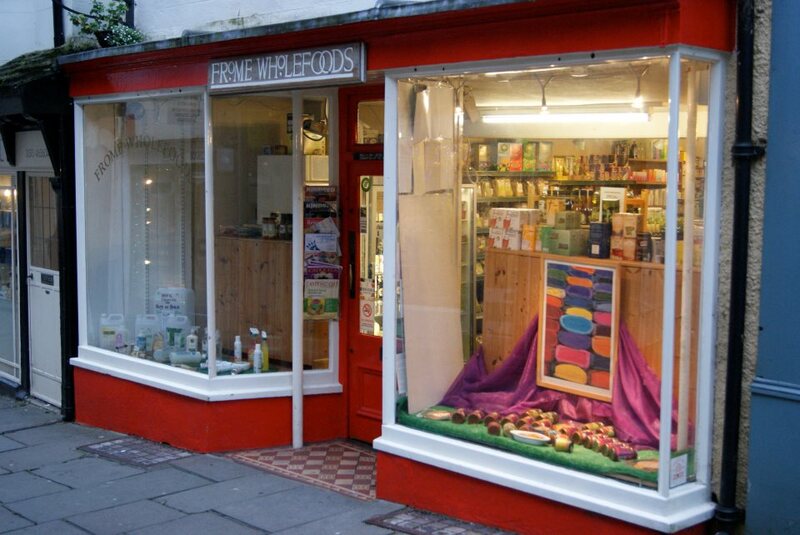 Back in 2012, Frome Wholefoods also received a silver best Fairtrade retailer award to enforce their fair ethos. A Frome couple with a similar mindset opened their business on the medieval street earlier this year. 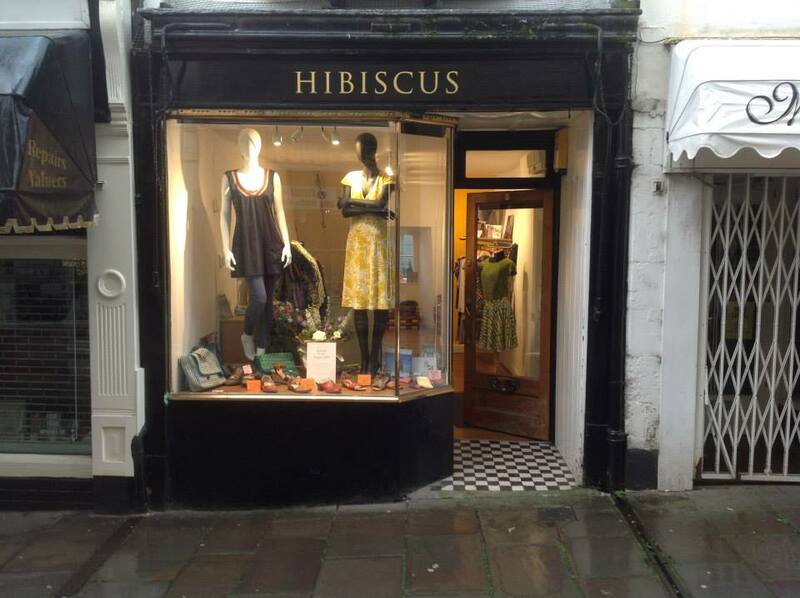 Their boutique, Hibiscus, sells fairtrade and organic women’s clothing sourced from ethical brands like Pikolinos and Shouting Pheasant. All pieces sold from Hibiscus are made with low environmental production methods and made from hemp, bamboo and other natural materials. Another notable mention among the Cheap Street stores is, of course, Raves From The Graves, known as a treasure trove of obscure (and well-known) music. The store stocks a broad selection of vinyl, CDs, merchandise and DVDs, serving as a hub of digital entertainment. The team and stock stretches across two stores, one in Frome and one in Warminster, but if there isn’t anything to tickle your fancy, they are happy to order in for you. Raves From The Grave’s success is obvious to see in the press. Sabotage Times has identified the Frome store as one of ten record shops you must visit before you die in 2014, and the shop was hailed in the Guardian as one of the best independent shops in the UK in 2012. If you haven’t visited one of their shops before you may have seen them with a wide range of records at this year’s Glastonbury Festival. The truth is, you’re spoilt for choice here in Frome. There are so many fantastic shops around the town, including Bramble & Wild, Sounds of Frome and of course, all the wonderfully delicious independent cafes. Have you visited our shops, and if so, which are your favourite independents?